By Avelene Chuang, Diplomatic Fellow at PADF. She works with the Ministry of Foreign Affairs of Taiwan. Before joining PADF, she served as a desk officer on Thailand and Myanmar affairs at the ministry. 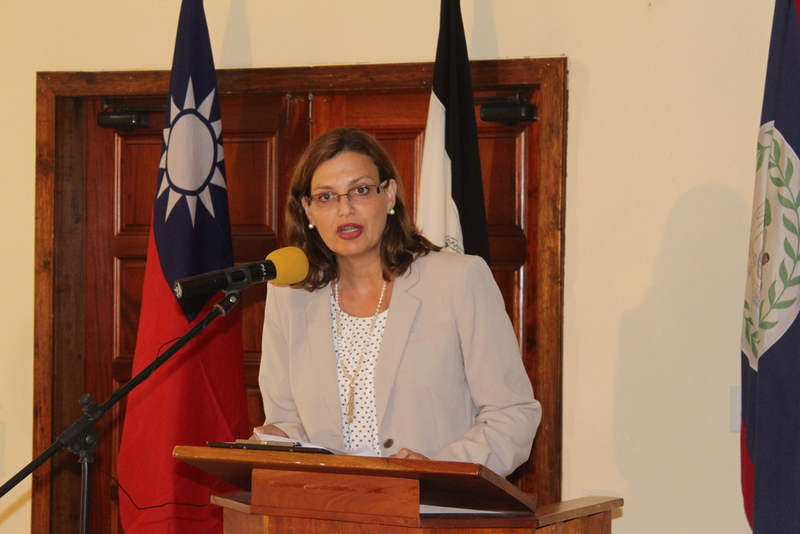 At PADF, she is especially focused on supporting projects sponsored by Taiwan. A Guatemalan community is celebrating something that's made the whole community safer: a paved road and walkway. El Campanero is a low-income community in Mixco, Guatemala that is highly vulnerable to flooding and landslides. Instead of properly draining away, torrential rains erode the community’s steep muddy paths and create unsafe walking and transportation conditions for those who live along the steep embankments, including the elderly, young children, people with disabilities, and disadvantaged families. For thousands of Guatemalans living in poor and marginalized communities like El Campanero, the rainy season poses a serious danger to the residents’ lives, their homes, and prospects for a better future. Guatemala is among the world’s most vulnerable countries to disasters. In Guatemala City alone, over 800,000 people are considered at high risk to landslides. Because of the country’s rugged terrain, many communities are built on precariously steep hillsides and are considered particularly vulnerable to disasters as a result of heavy rain, landslides, earthquakes, and volcanoes. On September 23, 2017, community members inaugurated a newly paved road constructed largely by the community members themselves. For the first time, they can climb up and down concrete stairs using a secure handrail and walk along a road with drainage constructed to withstand the next severe storm. For more than 500 of the neighborhood’s residents, the new road means improved access to their homes. It also means a weight lifted off their shoulders. Now, whenever rain falls it will be efficiently channeled down the hillside through high-capacity drainage canals and into the ravine below. Previously, the rain would have saturated the ground, eroded the soil, and toppled homes perched along the hillside. Community members on the steep hillside no longer have to live in fear of such events. John Lai, Taiwanese Ambassador to Guatemala, celebrates with local leaders and PADF at the ribbon cutting ceremony on September 23. PADF carried out this infrastructure project with generous financial support from Taiwan. Through its project “Yo Me Preparo” (I’m Getting Prepared, in English), PADF has worked closely with the Municipality of Mixco to help residents become more resilient to disasters. With Taiwan’s assistance, PADF improved the ability of 36,000 people across Mixco to prepare for and recover more quickly from disasters. This work focused on building disaster resistant infrastructure, providing training to disaster response teams, and organizing disaster preparedness and response brigades. PADF investments also allowed residents of vulnerable communities to become certified disaster responders within the Guatemalan natural disaster response system (CONRED). PADF led community engagement and discussion forums that enabled residents to identify, map, and prioritize disaster risks and to develop their own strategies to reduce those risks. Community members organized to widen the road, preparing it for pavement. Similar to Guatemala, Taiwan is highly vulnerable to landslides as it is regularly hit by typhoons and earthquakes. In fact, a World Bank report also places Taiwan as one of the world’s most at-risk countries to natural hazards. In light of this, communities across Taiwan have formed disaster preparedness and response brigades. These brigades are highly organized, trained, and equipped to deal with life-threatening events. Taiwan has also made substantial investments in disaster resistant infrastructure–including roads, bridges, and high-capacity drainage systems. These investments reduce the negative effects of disasters and allow the Taiwanese people to bounce back more quickly from extreme events. As Taiwan has developed its own disaster resistant communities, it is also committed to helping international communities to mitigate the effects of disasters. 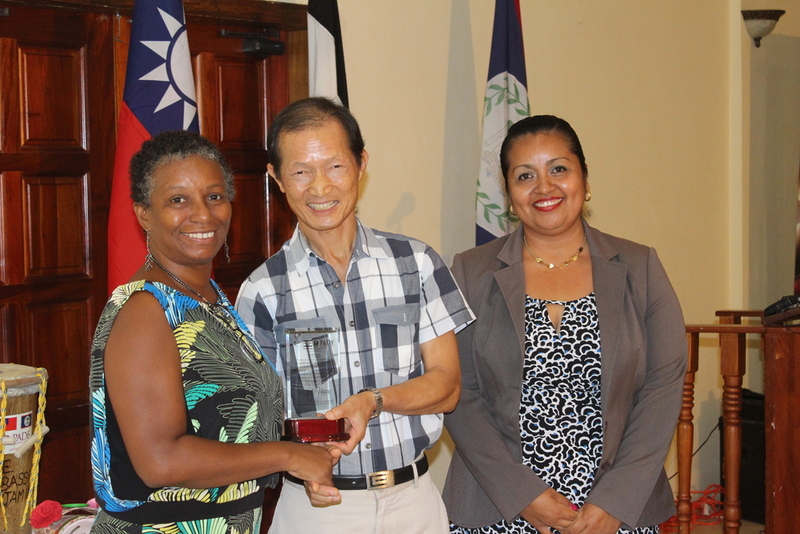 Taiwan has partnered with PADF to sponsor disaster risk reduction projects across Latin America and the Caribbean, including in Haiti, Honduras, St. Vincent and the Grenadines, Belize, and Guatemala. John Lai, Taiwanese Ambassador to Guatemala, delivers a speech at the inauguration ceremony. In Guatemala, Taiwan’s support through PADF enabled community members to obtain the necessary tools, machinery, supplies, and technical experts to complete the infrastructure construction project. Meanwhile, members of the community identified the street and selected the construction site based on the high level of danger it posed to those living there. They then provided the manual labor for widening the path, relocating electrical poles, excavating the drainage canals, and paving the walkway. An El Campanero community member excavates the road construction area. The El Campanero community thanks Taiwan for its financial support and PADF for coordinating the project and making their community a safer place. Ambassador John Lai of Taiwan to Guatemala also extended his appreciation at the event to everyone involved in the project to make it possible. After five months of construction, community members have a paved concrete road and a sturdy 70-step stairway. Thanks to the partnership between Taiwan, PADF, the Municipality of Mixco and other local partners, the El Campanero community members can safely access their homes without looming concerns of insecurity during the rainy season. Guatemala is one of the most disaster-prone nations in the world. Between droughts, floods, volcano eruptions, earthquakes and landslides, Guatemala is geographically placed to experience a major disaster event more frequently than other countries. And aside from its geographic placement, its weak infrastructure often amplifies the negative effects of weather hazards. PADF is working with local authorities in reducing the risk of disaster by making key changes to infrastructure and preparation. But disaster events are often unforeseen. How can officials prepare to save more lives in the hours and days after a disaster? 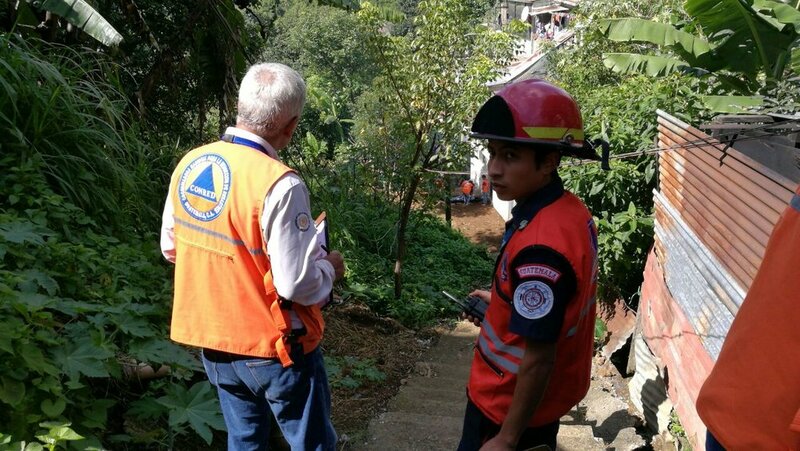 In a simulation held by PADF on September 2 and 3, local disaster teams (called COLREDs) in Guatemala trained to respond to disaster situations. 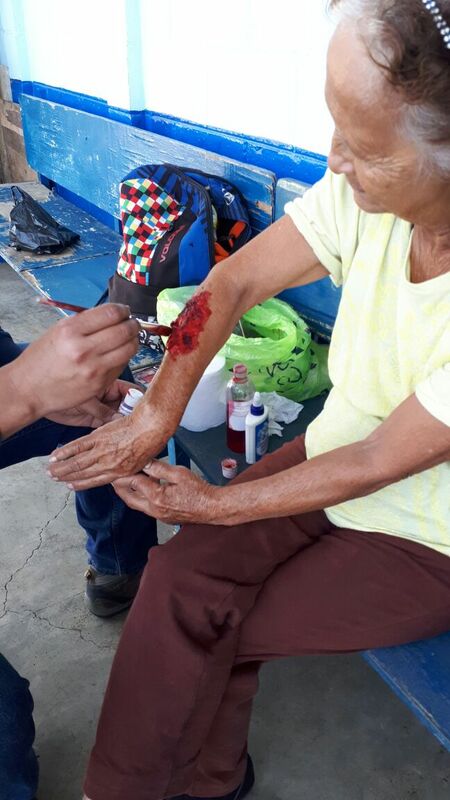 Local community members role-played as disaster victims, acting desperate with injuries painted on their skin, as COLRED members trained in first response and disaster recovery. The simulation was part of the Yo Me Preparo project, funded by Taiwan. More than 180 disaster response personnel - including firefighters, national police, and national disaster defense - were trained in the simulation. They learned about evacuation and security systems, first response, and emergency planning. In addition, mechanisms were shown for saving the highest quantity of people possible in any disaster situation. In Guatemala, communities built on steep hillsides are especially prone to experiencing landslides. Therefore, it was vital that COLRED members trained in excavating people and rescuing those who had been trapped inside their homes. At the end of the day, participants were reminded of the importance of preparing for rainy season, when soil gets water-logged and loses its adhesiveness. Each community should work together to take preparative measures before the threat of a disaster, because Guatemala depends on its local disaster personnel to save lives. San Salvador, El Salvador (May 31, 2017) — The Pan American Development Foundation (PADF) and Taiwan, with the support of the Permanent Risk Management Bureau (MPGR) in El Salvador, will host a regional disaster risk reduction workshop. Titled "Moving Urban Communities Toward Resilience: Advances and Challenges," the workshop will take place May 31 to June 2, 2017. Delegations from Guatemala, Honduras, Belize and El Salvador will participate in the event. During the meeting, participants, regional institutions and government representatives from El Salvador will exchange experiences about working in disaster management and disaster risk reduction. The objective of the workshop is to share experiences and best practices for disaster management, with an emphasis on urban resilience. The goals is to create a regional framework to address natural disasters based on the ideas and recommendations of participants. Central America and the Caribbean are highly vulnerable regions. Natural hazards combined with geographical, political, environmental, social, economic and gender vulnerabilities. Between the Managua, Nicaragua earthquake in 1972 and 2010, the Economic Commission for Latin America and the Caribbean (ECLAC) recorded natural disasters in 28 countries in the region. The total cost of these disasters was approximately 213 billion dollars and 309,742 deaths, affecting roughly 30 million people. Given these risks, regional authorities must work together to reduce vulnerabilities and transform the socio-economic factors that prohibit communities from being properly prepared. The regional workshop is part of the Taiwan-funded Yo Me Preparo project, which seeks to strengthen urban hillside communities that are vulnerable to floods and landslides. The project brings together universities, the private sector and members of the public sector to increase the resilience of the community by promoting climate change adaptation disaster risk reduction. Since 2012, PADF and Taiwan have collaborated in countries throughout the region in dealing with emergencies and natural disasters. The Taiwan Regional and Disaster Assistance and Reconstruction Program (PADF) has been a five-year alliance to promote preparedness and mitigation programs in six countries. 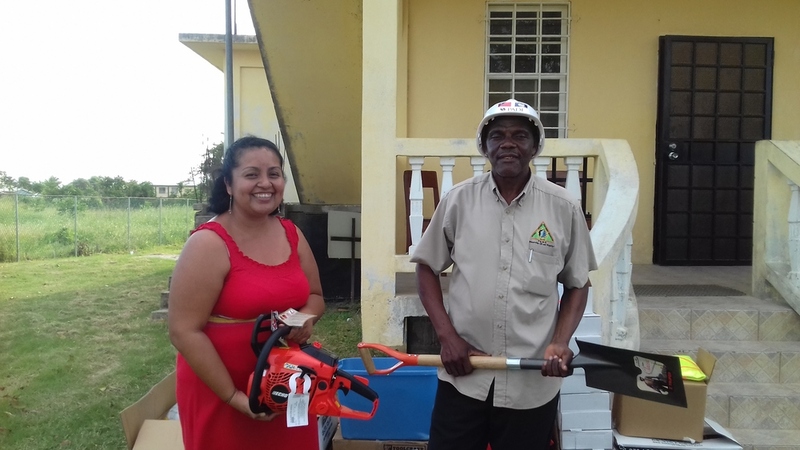 PADF Belize Project Director Minerva Pinelo and a representative of Belize National Emergency Management Organization pose for a picture with the donated equipment. The Pan American Development handed over tools and equipment to the Belize National Emergency Management Organization (NEMO) and to local first responders in the towns of for Dangriga and Hopkins Village in southern Belize. First responders received certificates after completing seven weeks of training in search and rescue, first aid and shelter management. Funded by Taiwan, the Community Preparedness and Resilience initiative has assisted more than 14,000 residents in preparing for and responding to disasters. The year-long project trained and certified Community Disaster Response Teams, engaged local students about climate change, created hazard maps and early warning systems in each community and planted mangrove trees to mitigate coastal erosion. Each community response team is now equipped with a first aid kit and search and rescue bags. NEMO received equipment including a chainsaw, flotation device, burn kit, wheelbarrow and safety vests helmets and glasses. Shorlette Grant, Lynn Rodriguez and Oris Lewis were used their training as first responders during and after Hurricane Earl struck Belize in August. Shorlette Grant, Lynn Rodriguez and Oris Lewis assisted as the First Aid team in Hopkins, Belize. Hurricane Earl made landfall in Belize City on August 4, 2016, causing millions of dollars in damage to infrastructure, as well as the tourism and agriculture sectors. 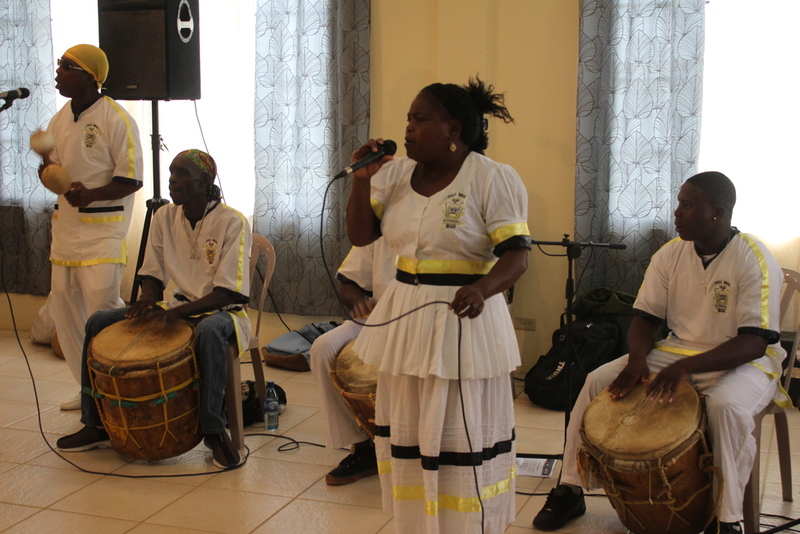 The Southern coastal communities of Hopkins and Dangriga were better prepared to face the storm thanks to the Community Preparedness and Resilience Project, funded by Taiwan and implemented by the Pan American Development Foundation (PADF). The project assisted over 14,000 residents of Belize’s Stann Creek District in preparing for and responding to disasters. Newly-trained and equipped Community Disaster Response Teams were on hand to assist their neighbors during and after the hurricane. The project also created hazard maps, flood gauges and strengthened early warning systems in each community. Francis Zuniga (right), a newly-elected member of the Hopkins Village Council, assisted as Shelter Manager. PADF project participants who received disaster preparedness and risk education training through the project have been supporting the Belize National Emergency Management Organization (NEMO) following Hurricane Earl. In addition, ongoing evaluations will determine the level of required support for affected vulnerable communities isolated by the mountainous terrain and flooded rivers.